So luxurious - so chic! 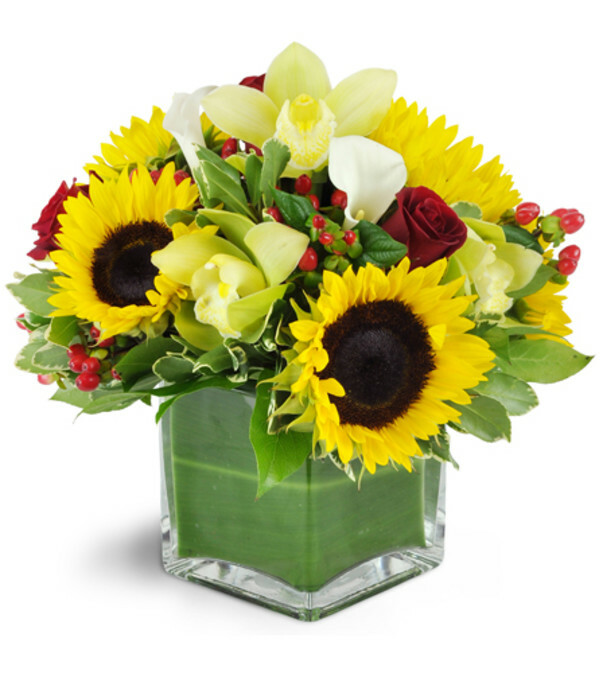 Indulgent cymbidium orchids and deep red roses are perfectly offset by large sunflowers. It's an ideal mix of sophistication and splendor for your most stylish special someone! Green cymbidium orchids, red roses, sunflowers, calla lilies, and more make for a truly impressive display. Fantastic service and my Mom LOVED the bouquet. Thank you so much for putting care into what you do. Great same day (free!) delivery to a local hospital. 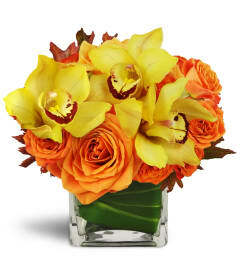 Agape Flowers & Gifts is a Lovingly Florist in Gaithersburg. Buying local matters. Discover how Lovingly supports local florists. Copyrighted images herein are used with permission by Agape Flowers & Gifts.